Children are often curious about the world around them. One way to encourage this curiosity is to provide them with a way to see nature in a new and more intensive way — with a microscope. Children can learn about different types of bacteria by looking at it close up inside a microscope. To look at bacteria, wet a cotton swab and run it along the inside of a sink. Rub the swab onto a microscope slide, and place a slide cover over it. 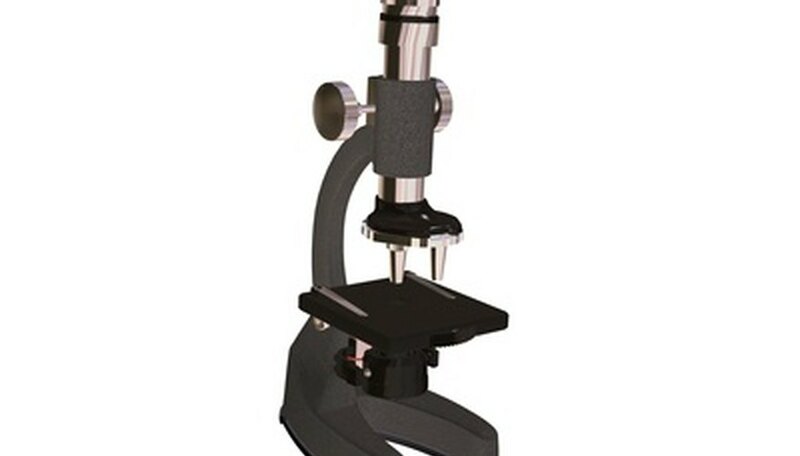 Insert the slide onto the microscope tray, and turn on the microscope. When children look through the eyepiece of the microscope, they will see the different bacteria that are inside of the sink. You can take different swabs of different areas of your house. Children can look at plant parts in an up-close way by looking at them through a microscope. Slice pieces of stem, petal, stamen and leaf, and place each on its own individual microscope slide. Place a drop of water onto the slide. Then cover it with a slide cover. Insert the slide into a microscope, then turn it on. Children will be able to see plant cells and their cell walls, chlorophyll and the feathery surfaces of the flower petals. Children can see how gruesome and spooky insects look close up by looking at them through a microscope. Although larger insects can be caught easily, they will be too difficult to look at under a basic microscope. However, you can purchase premade slides of very small insects, such as mites or fleas, from a scientific supply company or an educational resource company. When inserted into a lit microscope, children will be able to see the hairy antennae, multilensed eyes and mandibles of the insects. Sundstrom, Kelly. "Ideas for Things Kids Can View With a Microscope." Sciencing, https://sciencing.com/ideas-things-kids-can-microscope-7583120.html. 24 April 2017. What Is a Glass Slide in Biology?